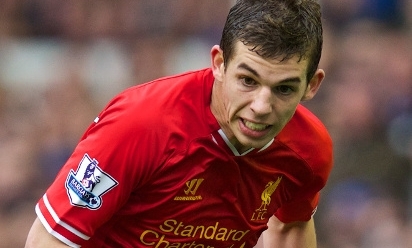 What started with a series of tweets from Liverpool fans to two-time World Cup winner Cafu ended with the Brazilian legend flying to Merseyside to meet the man being compared to him – Jon Flanagan – last weekend. Among the innumerable highlights of an outstanding 2013-14 campaign for the Reds was the rapid development of the young, local full-back, who provided guts, determination and no little skill after grasping a place in the first team. When injuries forced Brendan Rodgers into a defensive reshuffle last November, the manager put absolute faith in Flanagan and was rewarded for the remainder of the season as the 21-year-old evolved into a mainstay of the second-place side. News of the Englishman's displays made waves outside the country too, reaching as far as South America, where legendary Brazil defender Cafu was regularly casting his expert eye over the Liverpool man. He had been encouraged to tune in by messages from Kopites, who had taken to calling Flanagan the 'Scouse Cafu', and it was not long before the former AC Milan and Roma star was considering a journey to Anfield to watch the No.38 at close quarters. And that dream became a reality on the final weekend of the season, when Cafu travelled to the city, meeting his namesake and taking a seat in the stands to see the Reds overcome Newcastle United. Ahead of kick-off, he first sat down with LFCTV GO to exclusively reveal the answer to the question everyone was asking: how did his appreciation for Flanagan begin? "I first started hearing about him by watching Premier League matches and observing his performance along with other players," said the 43-year-old. "I then started seeing some news saying he is the Red Cafu! So there's nothing better than coming to the city and taking a picture with my successor. "He is a good player; still young and developing, but already gaining recognition at Liverpool and he might even have an opportunity with the English national team. He'll be a great English player in the future. "He has speed, strength and determination. He's an athlete who goes after it and never gives it up. That's exactly what I used to do; there were no missing chances for me, no tiredness and no being dejected. "I see that style in him too. I hope he continues that way and achieves as many trophies as I did."